Want to lower your stress hormone cortisol? Try a Hug! You've probably seen ads like these: "Lower your cortisol to lower your abdominal fat - use our Magic Miracle cortisol pill for only $200 per month." Well, you may have guessed, there are better ways to lower your cortisol. Snuggling can erase tension after a tough day at work - or even PREVENT you from experiencing a cortisol surge in the first place. Only a couple of catches here. Not just any old snuggle counts - it has to be with a person who makes you feel good in the first place. "Angry hugs" just don't work. Another catch - you need to "stock up" fresh each day; you can't save up the benefits for tomorrow. Time for your Health and Beauty Sleep! Sleep can be a wonderful thing. Our bodies and and minds can relax, recover, rejuvenate. To summarize, a study was presented this week at the American Heart Association's Annual Conference which showed that "short sleepers" - people who slept 6 hours or less per night - were more likely to develop elevated fasting blood sugars than people who slept 6 to 8 hours per night. Once people develop pre-diabetes, they are much more likely to go on to develop full blown Type II diabetes. This article talks about a 2004 study in the The Journal of Clinical Endocrinology & Metabolism which showed that sleep deprivation can cause the lowering of a "fullness" hormone called leptin. After sleep deprivation, the low leptin levels "tell the brain there is a shortage of food and increase appetite...some volunteers were asking for up to 1,000 calories more per day..." Other studies have shown an association with higher BMI and getting less than 7 hours per night of sleep. So, back to your Health and Beauty sleep. How much sleep should YOU get? According to a number of studies, many people seem to benefit from around 7 to 8 hours of sleep - but individual needs will, of course, vary. In general, in an ideal world, you should wake and feel refreshed; you shouldn't have to hit the snooze button 10 times! If you are not feeling refreshed, and you HAVE gotten regular sleep, lasting 7-8 hours per night, then you should contact your primary care physician to make sure there isn't a problem, such as sleep apnea. If you are like me, on the other hand, and tend to web-surf into the wee hours - cut it out, for your health's sake! People often ask "when is the best time to exercise?" The answer of course, is not a simple number on the clock. The best time for each person will vary depending on that person's lifestyle, temperment, and preferences. Each person has to be realistic, think carefully about his or her daily schedule, and decide when it will be "easiest" to keep up with a daily routine. Anyone who knows me, knows for sure that I am not a natural "morning person" - yet I absolutely HAVE to work out first thing in the morning, because realistically I just won't get to it at night. When I work out in the morning, I am still half asleep - which is great, because by the time I fully wake up, my workout is over! A new study shows that one of the worst, most painful times to exercise is AFTER you have performed a long, complicated mental task. A study published in the March issue of the Journal of Applied Physiology found that people who performed a mentally taxing chore BEFORE exercise, didn't exercise as long, and reported feeling much more exhausted, compared to people who watched a movie before exercise. In other words, mental fatigue makes the same exercise feel harder and more exhausting, and can cut into your exercise time. If you are doing challenging mental work all day, exercise after work can feel tougher than the same workout done first thing in the morning. So what does this mean to you? Well, if you happen to have a mentally challenging, taxing chore to perform, you might want to exercise BEFORE you do it. Hey, sounds like a great reason to procrastinate, and put off that chore while you work out, doesn't it? When it comes to sneaking in exercise, give yourself whatever excuse you need! My earlier two posts talk about the importance of calories. 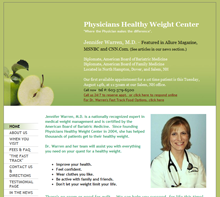 A new study in the New England Journal of Medicine confirms that calories are key to weight loss. "But I don't eat many calories," you might think to yourself. But calories are sneaky little devils. They can crop up in the most unexpected places. And trying to balance them can be a bit confusing. Here are a few common mistakes, and how you can avoid them. 1. "All natural, healthy food is low in calories." Don't make this mistake. As I mentioned in my last post, "healthy foods" like granola and olive oil can be FULL of calories. It is easy to quickly consume large numbers of calories unconsciously if you do not pay attention. Fat and processed carbohydrates may not immediately lead you to feel full, and you may accidentally take in more calories than you need. 2. "If I eat sugar-free or low-fat foods, I don't need to count calories." Don't make this mistake either! Studies have shown that people actually tend to OVEREAT these foods precisely BECAUSE they think they can get away with it. They may actually eat MORE calories! Always check the calories in your portion size. 3. "If calories are the only thing that matters, I'll just starve myself all day to save up the calories for a really big dinner." NO! Don't make this mistake. Studies have shown that starving yourself all day will INCREASE your hunger hormones at night, leading to overeating. Furthermore, this practice may actually slow your metabolism during the day. One more problem with this approach - overeating a huge dinner at night can leave you too full to eat breakfast the next morning - so you end up setting yourself up for the same vicious cycle. Start your morning off with a healthy breakfast - you may have to force yourself at first, to break the cycle. Your body will thank you. 4. "I don't really eat that much - just a little grazing here and there. I don't know why I'm gaining weight." Studies have shown that when people "graze", without any planning or formally keeping track of what they are eating, they end up eating a LOT more calories than they realize. Other studies have suggested that people actually burn more calories when they eat on a regular scheduled basis, rather than randomly snacking. The best way to avoid "overgrazing" - plan ahead what you're going to eat for the day, then keep track of it in a journal. 5. "I want to lose weight quickly now by eating less than 800 calories per day, and then I can just maintain my weight loss later by eating my usual calories." Um, can we say Oprah's 1980's diet? Starving your way to rapid weight loss might sound great to some (not to me! ), but this approach is FULL of PROBLEMS. For one thing, your body ends up burning up its nice, lean muscle, not just fat, if you starve yourself. Secondly, starving yourself just plain doesn't work very well for long term success. Cutting your calories to the "Very Low Calorie" level will slow your metabolism down - so when you go back to a more normal calorie level, your weight will yo-yo through the roof! A much better, kinder, and more successful approach is to find out your current daily calorie needs, and then cut calories and increase exercise to end up with a "deficit" of about 500-1000 calories per day. Doesn't sound like a fast enough weight loss? That adds up to between 50 and 100 pounds lost in a year. There, that's a little better, isn't it? If you really want to lose more than 1-2 pounds per week, it is possible, depending on your weight, healthy, and medical factors, under the supervision of a physician and nutritionist. 6. "Once I reach my goal weight, I can go back to my old habits, and the weight will just magically stay off." Sounds ridiculous when we say it that way, doesn't it? Yet so many people end up acting as if this was true! The reality is that long term weight loss and maintenance requires some ongoing work. Simple as that. That said, the reality ALSO is that it is actually EASIER TO MAINTAIN, THAN IT IS TO LOSE. That is good news, backed up by long term studies of successful people. But it doesn't mean that you can become completely oblivious to calories, and exercise. The reality is that you CAN eat more calories at maintenance, but you can't forget about calories completely, or you risk excess "calorie creep". You also need to maintain regular exercise. Maintenance is an art itself, but it is an art that you get better at, as you practice. Long term success is also tied to long term support, and accountability. The reality is that our society does not make it easy, or "automatic" to continue healthy habits. You'll need support from somewhere, to "fight back" against all the unhealthy influences in our society. Most of our long term successful patients check in periodically, just to keep themselves on track! What did these two patients have in common, that threw off their weight loss success? Answer: they added some "healthy" food to their diets. Yes, you read that correctly. "Healthy food" lead our two patients to gain weight. Our successful lady had gone to the "health food store", and picked up some "natural granola". She had no idea how many calories, how much carbohydrate, how much fat, and how little protein were in the granola...but she was adding it to her yogurt, her cereal, and munching on it for snacks. Our nutritionist Beth did her best to guestimate the extra calories...and it was clearly the one change that had thrown our successful patient off track. No problem...with a few tricks and healthy substitutions (we switched our patient to a tsp of slivered almonds and a tsp of Nature's Path Granola to top off her yogurt), and in one month our patient had LOST all the weight she gained, plus extra. Our successful gentleman had read that olive oil was healthy. He proceeded to pour olive oil over his salads, and into many of his lunches and dinners. He had no idea that ONE TABLESPOON of OLIVE OIL had about 120 calories. He was eating about TEN to TWELVE TABLESPOONS per day! Do the math - that is 1200 to 1440 EXTRA calories per day! Yikes - it is amazing he only gained 7 pounds! Too much of any food - even healthy food - can lead to weight gain. This highlights the need to be aware of calories. A recent study in the New England Journal of Medicine comes to the conclusion that CALORIES are critical to weight loss: http://content.nejm.org/cgi/content/full/360/9/859 It is an interesting study which varied the amounts of protein, carbohydrates, and fats, in different test groups. In the end, the most important factors for successful weight loss were CALORIES, and ongoing support. All groups, regardless of percentages of protein, carbs, and fats, followed "heart healthy" guidelines in terms of healthy fats, and high-fiber whole fruits, veggies, and grains. What does this mean for you? It means that while HEALTHY FOOD is important to your overall well-being, you also need to become aware of the calories in your food in order to achieve substantial weight loss. It also means that there is no one, magic "formula" for all people, such as "high carb, low fat", or "high fat, low carb". To be healthy, and successfully lose weight and keep it off long term, your diet will have to be individualized to your needs. For example, some people absolutely NEED to have a fair amount of healthy fat in their breakfast, in order to feel full. Others need very little fat in order to feel full. Research is just beginning to identify the genetics associated with this need - but don't waste your money on the phony tests you see advertised - real tests are not yet available to the public. With a little journaling and experimenting with different ratios of protein/fat/fiber, it is easy to figure out what you need, no blood tests needed! Other people need much less fat in the morning, but more carbohydrate (this is often true for people who perform intense cardiovascular excercise in the morning.) But even these people generally need to have adequate amounts of protein, to balance the carbohydrates (and allow their muscles to rebuild), in order to keep full and feel satisfied! Sound complicated? Don't worry! Its not as bad as you think. The bottom line is that calories are key to weight loss, and the balance and quality of your food are key to health and satisfaction. Once you find your "success formula", don't be afraid to stick to it! This is what we help people find, every day. This article, run in the "O" magazine in February, makes an attempt to clarify the "best diet" for weight loss, breaking the categories into Low Fat, Low Carb, Zone, Mediterranean, and Ornish. The article very briefly summarizes (read: oversimplifies), three studies done in the last few years which attempt to compare some of the diets. First of all, the studies vary on how to define "low carb", "low fat", even "Mediterranean". And the devil CAN be in the details. One person's low carb diet can be considered moderate carb by someone else. Some of the studies also admit that the study participants did not necessarily even comply with the diet they were supposed to be following. If participants aren't even following the diet carefully, how can you make any judgements about the diet? I won't go into details pulling apart and analyzing each study - that would probably take about 5o pages of analysis (I was a philosophy major in college, and also worked in neuroscience research - so don't get me started!) Believe me, there are many, MANY issues. But the really important question is this - what do ANY of these studies mean to YOU, as an individual? The answer: probably not that much. MOST EXPERTS DO TEND TO AGREE ON THE BASIC ELEMENTS OF HEALTHY EATING. Sorry about the caps, but this is a really important point! Many studies and articles tend to focus on the MINOR differences between expert's dietary advice - making it seem like there is no common ground. This needlessly confuses people. The good news is that experts actually do have more advice in common than you might expect. So what DO most experts agree on? We ALL need some protein, carbohydrates, and fats. Experts vary on the percentages of each, but all agree that we all need some balance of all three "macronutrients." Little secret - how much of each YOU need will vary on your age, genetics, and current activity level, among other factors. At our program, we work together with our patients to find the best balance for each person, at each point in his or her life. Experts also agree that losing weight will only happen if you are "burning off" more calories than you are eating. Not all diets recommend counting calories, but most experts admit that calories, in the end, are crucial for weight loss. Most experts also agree that physical fitness is absolutely critical for health, and maintenance of weight loss. There is some variation on when, what type, and how much exercise is best - but another little secret - no matter what the experts say is "ideal", the REAL ideal for each person has to be individualized to that person's life and needs! And finally, most experts admit that it is not easy in our current society to achieve and maintain a healthy weight. This should be obvious to any one who looks around - 75% of the American population is now overweight or obese! That means it is now "normal" in this country to have trouble controlling weight. People should not feel guilty for needing help to stay healthy, and reach a healthy weight. It takes work and focus - and SUPPORT. Success comes from understanding your individual needs and challenges - physical, medical, emotional, social - and then learning IN DETAIL what you need to do to take full care of yourself. It also takes a specific action plan - and the ongoing support to get it started, and keep it going. Don't be confused by what seems to be conflict between experts, all "fluffed up" by the media. Don't be fooled by people who say it is impossible to be healthy in our current society. It does take work, and focus - but with the right support, you CAN succeed!